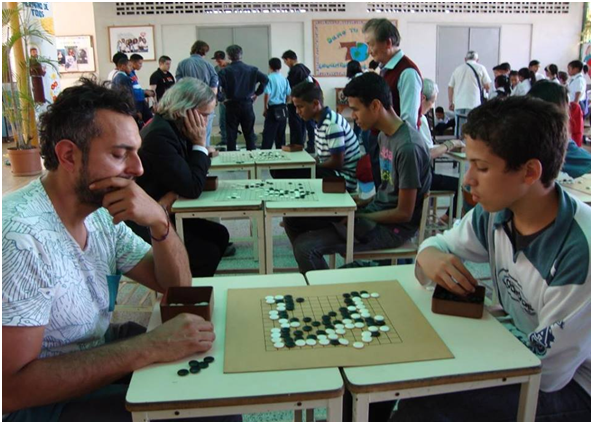 Over forty players from seven different countries competed in the 18th Ibero-American Championship tournament, held at the Pestana Premium City & Conference Hotel in Caracas, Venezuela from October 7-9. The field included 23 Venezuelans and 17 players from other six nations. Locals including taxi drivers, workers from the bakery, hotel, caretakers, retired players, the Venezuelan players who live abroad, teachers at the Japanese schools and the Embassy of Japan all pitched in to make the event succeed, said Loli Puerta, president of the Venezuelan Association. 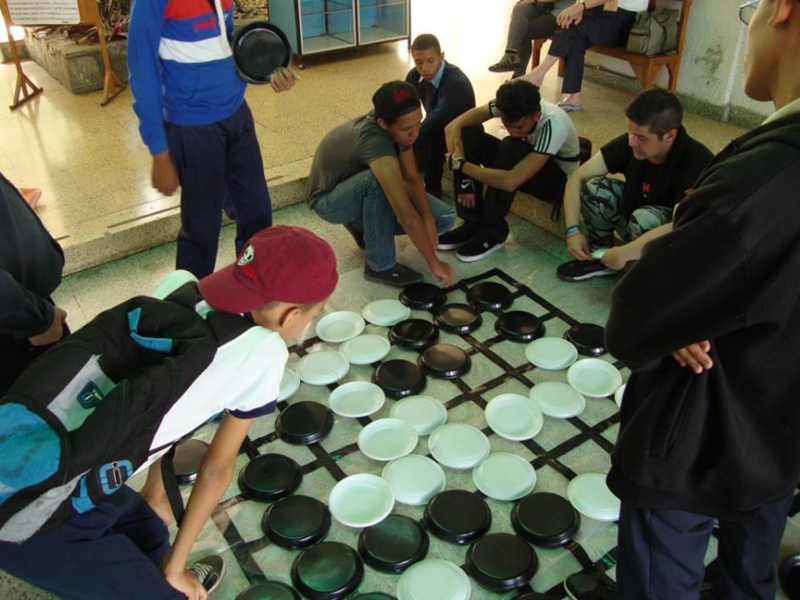 Fernando Aguilar 7d (Argentina) won first place; Hisao Uyama 7d (Brazil) finished second and Juan Carlos Carrillo 1d (Chile) was third. “Venezuela is a land of peace and its people are great” said Aguilar. To close out the XVIII Ibero-American Championships, the first Iberoamerican Go Couples Tournament — sponsored by the World Pair Go Association — was conducted on Monday, October 10th.